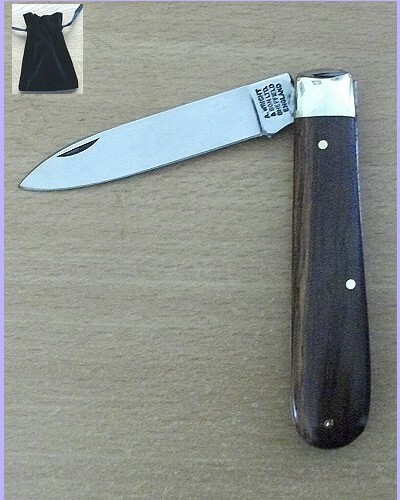 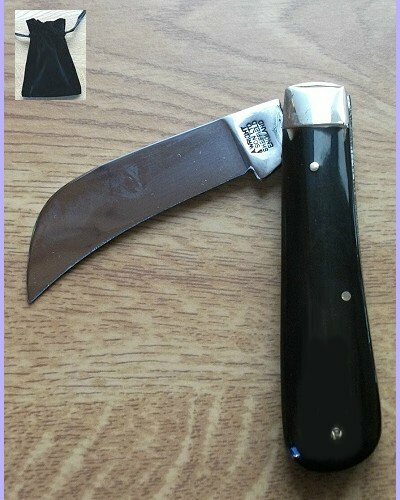 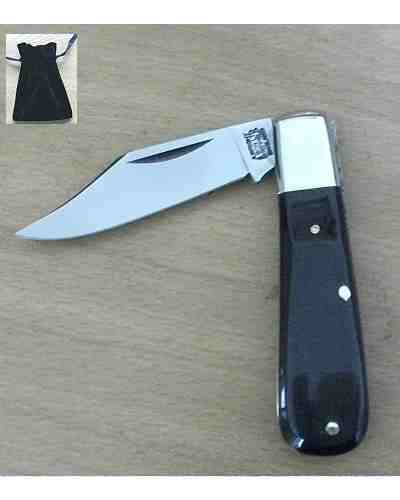 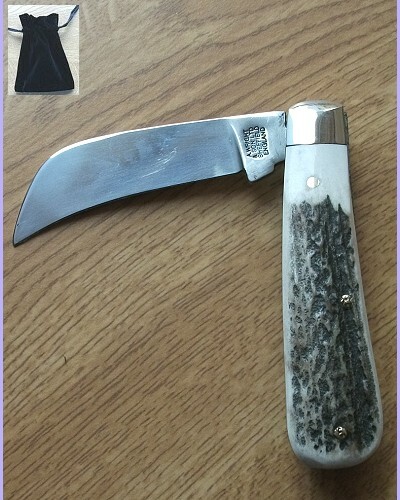 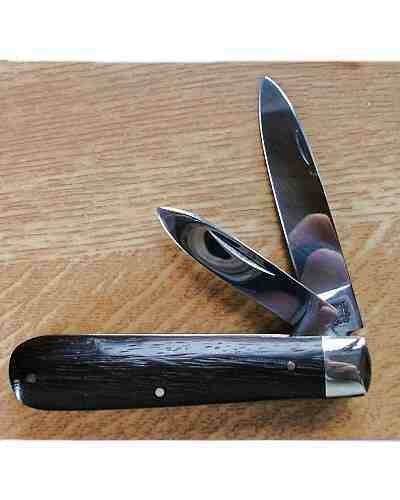 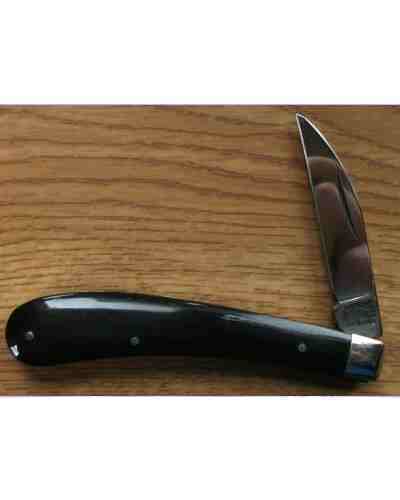 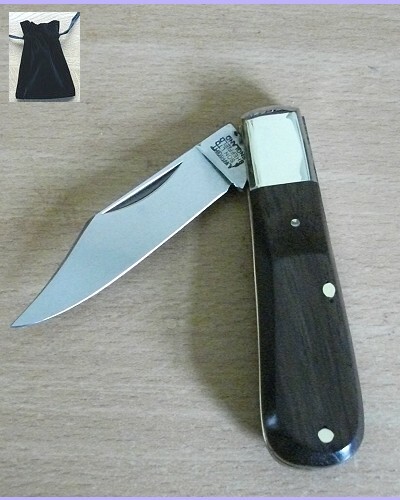 Peach Pruner Blade Pocket Knife Buffalo Handle - suppled with Velvet Gift/Carrying Pouch. 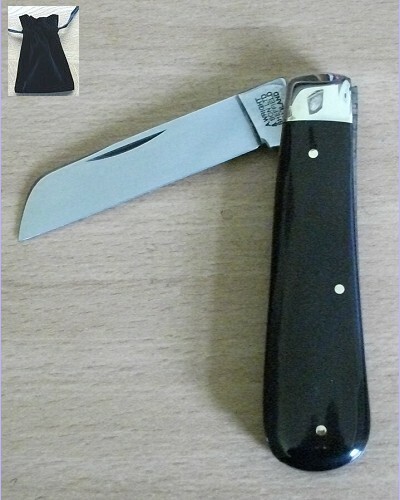 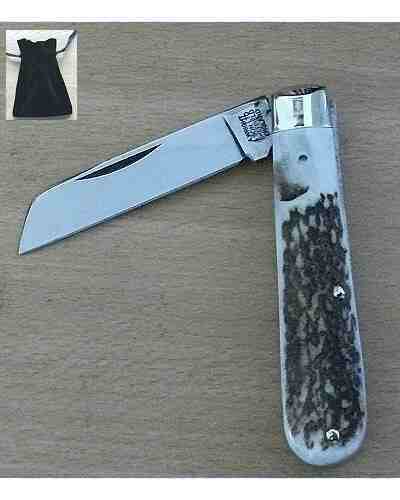 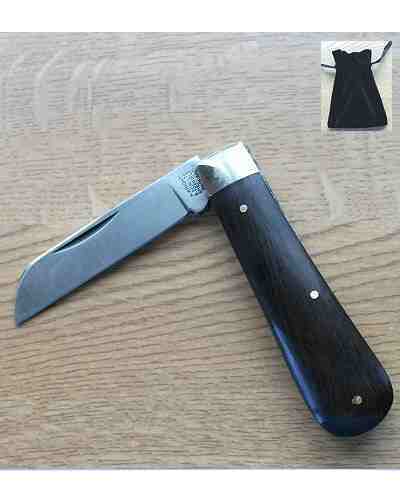 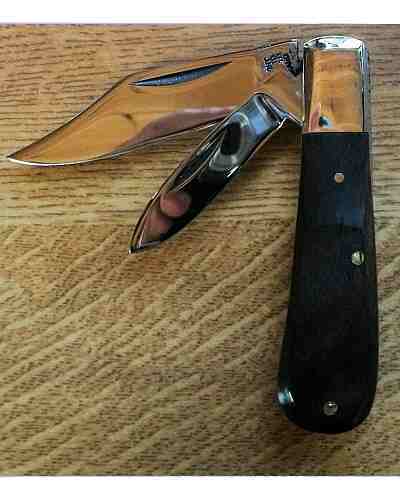 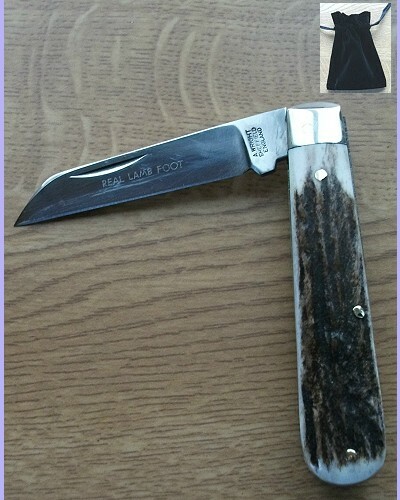 A very compact knife with a small pruning blade, brass linings, and nickel bolsters. 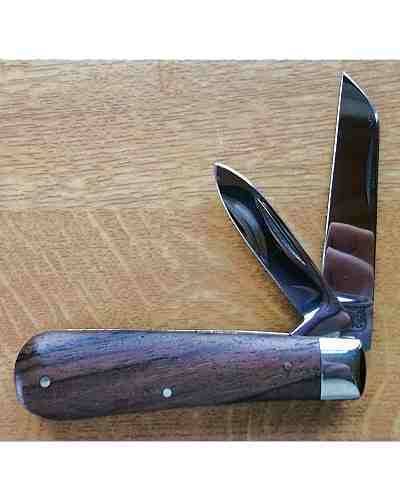 Made in Sheffield. 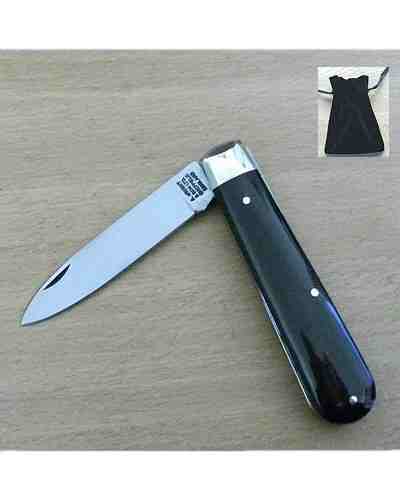 Pocket knife blades are carbon steel which is not stainless so please keep the knife dry and store in a dry location. 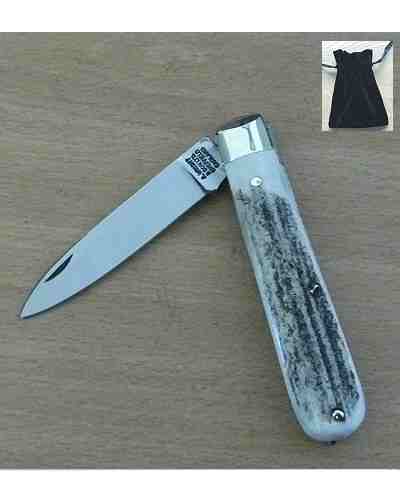 Even fingerprints can tarnish the blade so be sure to give the blade a quick polish after use.